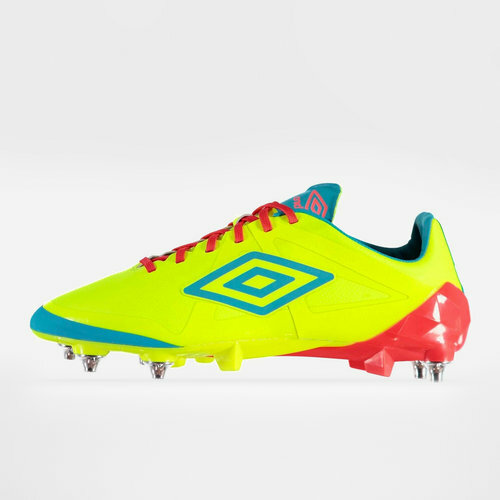 The Umbro Velocita Pro SG Football Boots are designed to increase speed and control, with a lightweight synthetic upper with supportive welding that makes them suitable for all weather conditions. The boot has a lace up fastening, padded ankle collar, mesh panelled tongue for breathability and a cushioned insole for comfort, with a moulded sole plate that includes screw and moulded studs for good traction on soft ground. Umbro branding completes the look.